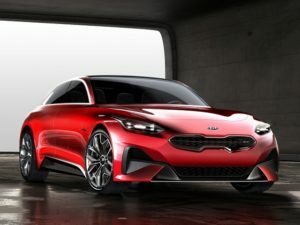 Kia’s third-generation Ceed will break cover at the Geneva Motor Show in March, revealed as a five-door hatch and a new body style, likely to be a coupe-like estate. Penned at the brand’s design centre in Frankfurt, built in Slovakia and claimed to offer a more engaging drive than its predecessor, with a chassis setup specifically for European roads, the newcomer will go on sale in Q2 of this year in left-hand drive markets. Pricing and an on-sale date for the UK – where two thirds of the car’s volume go to fleets – will follow shortly afterwards. Expect design cues to be lifted from the Proceed concept shown at the Frankfurt Motor Show last September, with front-end styling mimicking the Stinger grand tourer and an estate variant with a steeply raked rear windowline. Engines are likely to include the 1.0-litre and 1.4-litre turbocharged petrols used in the Hyundai i10, and a new-generation 1.6-litre diesel to follow after launch.